In today’s changing real estate market, it is more important now than ever to have a trusted mortgage consultant. We have access to a full range of mortgage sources and all of our Mortgage Consultants are dedicated to finding the right loan with the best rates, terms and costs to meet your unique needs. Throughout the lending process, we provide progress reports so you always know the status of your loan. It is our pleasure to offer all of our exceptional mortgage services to you. 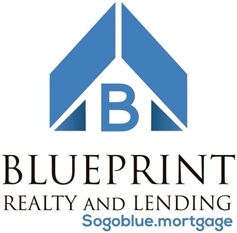 Through BLUEPRINT REALTY AND LENDING you not only have access to the best loans available in the marketplace, but you can also review loan alternatives, and get started online - 24 hours a day.